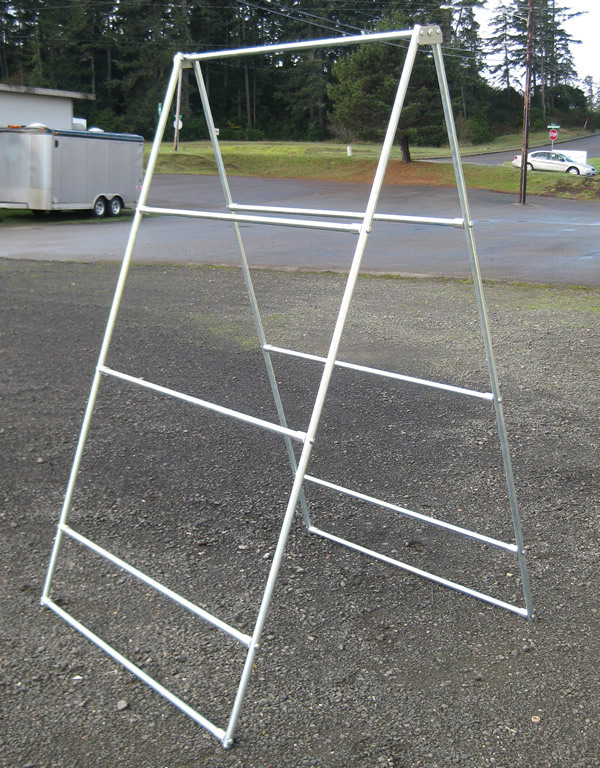 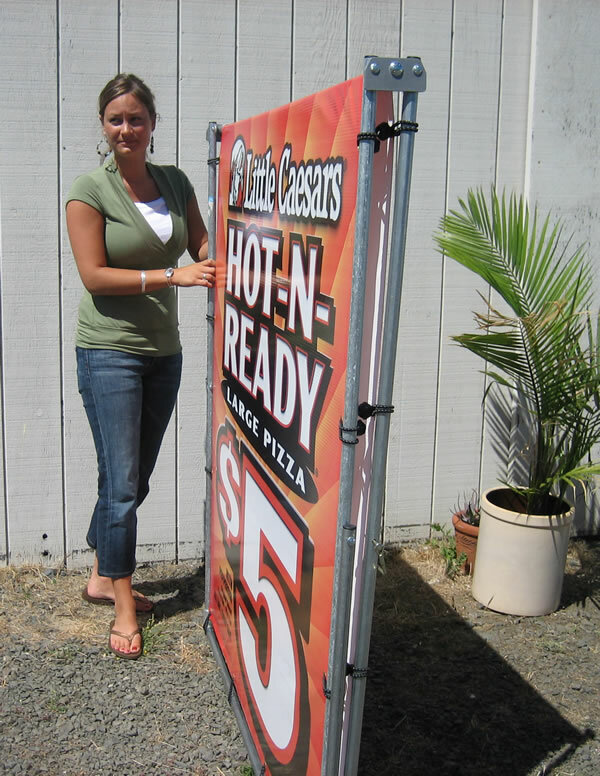 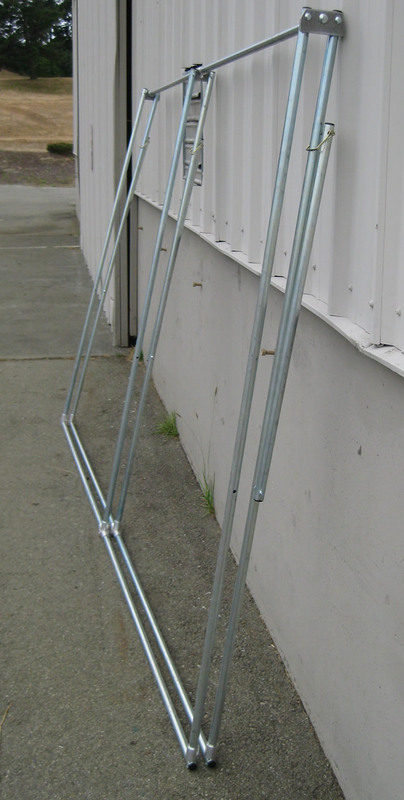 We custom make any folding banner frame size you may want. 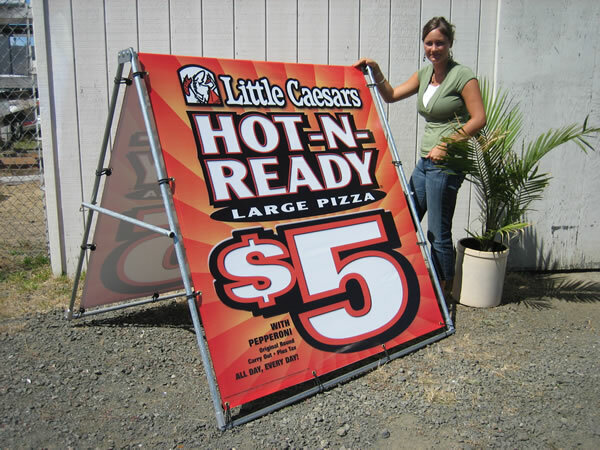 Our 5′ x 5′ Jumbo A folding sign. 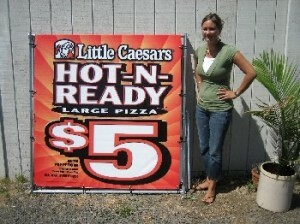 This sign is 50 square foot of see me now signage. 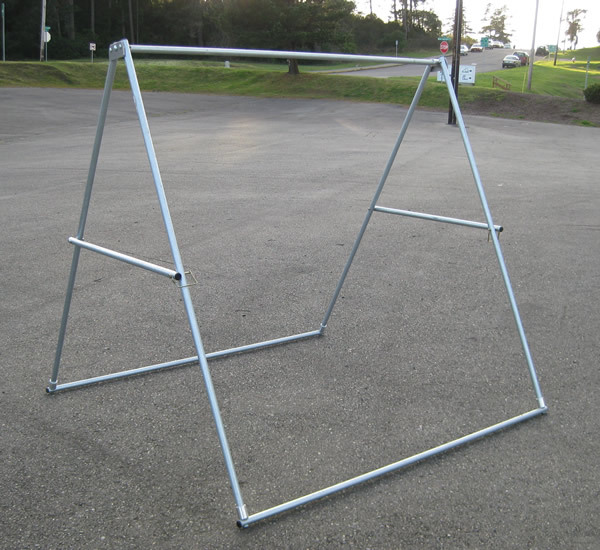 It folds in half for easy handling and because it is as wide as it is tall a couple sand bags at the base keeps it in place when windy. 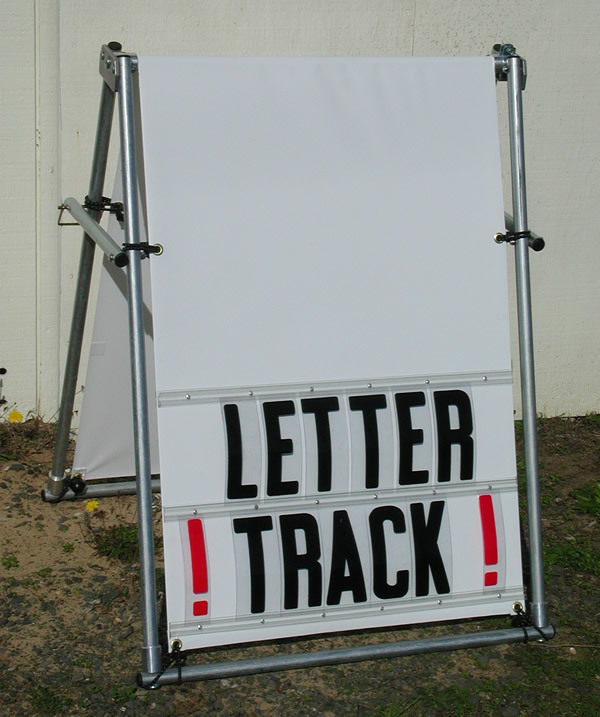 We make custom banners with letter track. 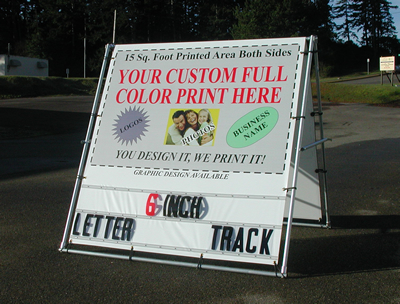 You can print the banner with your logo and add letter track with changeable letter anywhere you want. 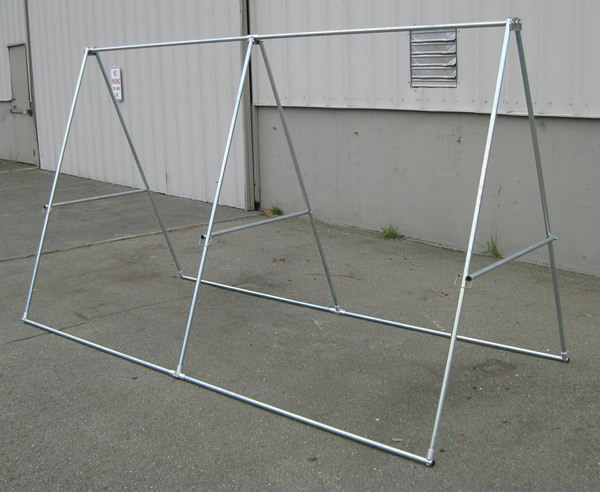 Frames can be any shape taller than wide. 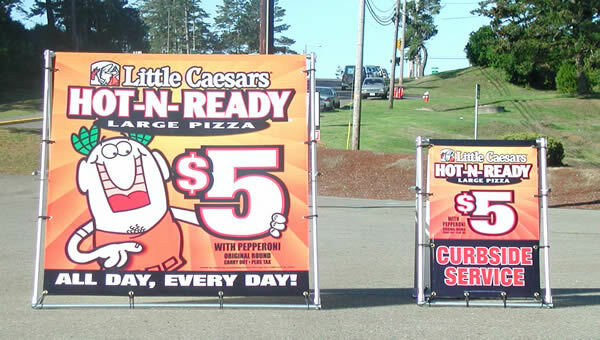 You order what you want.